The Birthstone Series patterns are available now for purchase to retail customers via my Online Shop to customers in the United States. International retail clients interested in purchasing the Birthstone Series should please contact eQuilter.com, since they are able to fulfill international orders. Click here for eQuilter.com's website. If you live in the US, you can place orders for the Birthstone Series and the Birthstone Shop Kit by contacting me directly via my CONTACT page. I will send you the link and password for my online Wholesale Shop. You can also order through Brewer Sewing, Checker Distributors, or EE Schenck. Canadian wholesale customers may purchase through Erie Quilt Art. I'm pleased to offer classes, trunk shows, and even Bourbon tastings to groups, shops, and guilds. Click below to find out more. 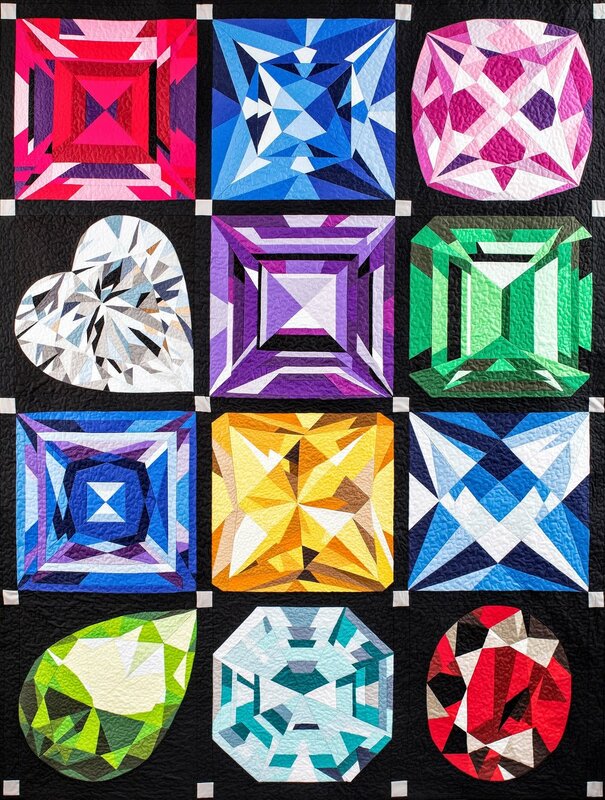 Click below to download my newest ebook "Diamond Divas & Drama Queens", a study in value contrast for all kinds of quiltmakers. And in Fall 2020, I will release the first of three books featuring my diamond quilts with C&T Publishing. Stay tuned! I'm excited to announce the formation of my Gem Affiliate program! 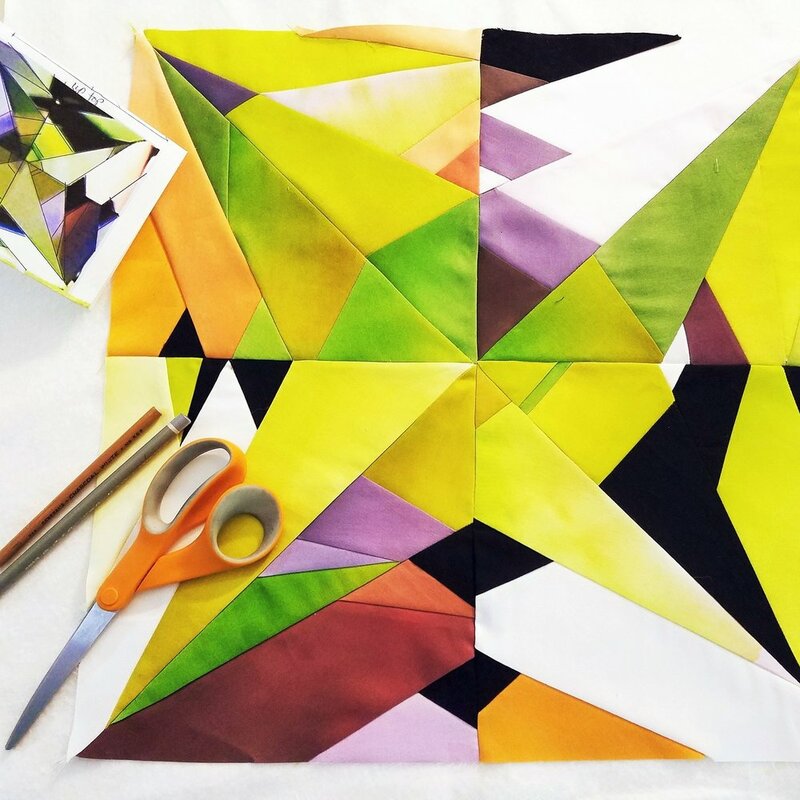 Gem Affiliates are independent quilt shops and quilt teachers who have been certified to teach in-person classes based on my gemstone patterns. The Gem Affiliate program is a respectful, mutually-beneficial collaboration between your business and my brand with the ultimate goal to expand both. Our Gem Affiliate roster currently includes 20 independent teachers and quilt shops around the US and Canada! Click here to meet the team. Gem Affiliates can significantly expand the menu of classes they offer to shops, guilds, and groups, as well as at retreats, conventions, and shows, by teaching patterns such as The Birthstone Series (a collection of 12 blocks representing the traditional birthstone gems) and new patterns and products scheduled for release in the coming months and years. To learn more about this exciting opportunity to expand your teaching business, click the button below.